Our locations may look a little different from each other, but our commitment to our mission & customer service is the same. 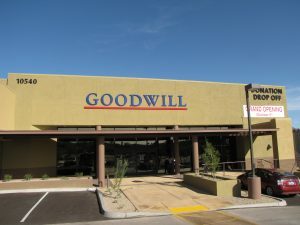 Our Goodwill® stores across Southern Arizona may not all look the same, but please know from Casa Grande, south into Tucson, Sierra Vista and the international border, we are one organization. 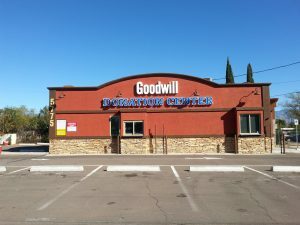 90 cents of every dollar we spend goes to our mission to serve those with barriers to employment and we do our best to renovate, update and rebrand the look of our locations as we can. It, of course, takes time and money. 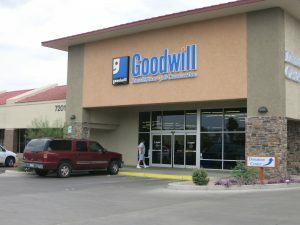 We are dedicated to supporting our mission and providing the best customer service to you wherever you may find us; even if our storefronts and donation centers may look a little different from each other. 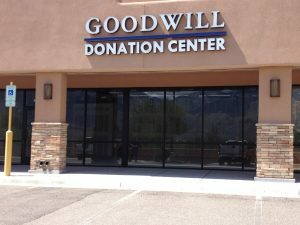 Donation Center, Tucson – 5775 E. Broadway Blvd.